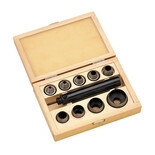 Punches out holes of various diameters in leather, vinyl and similar material. 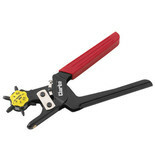 Ideal for craft work, belts, shoes, boots, horse tack etc. 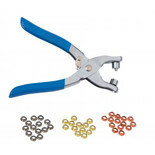 These 4mm eyelet pliers are ideal for hobby and craft usage with the 100 x 4mm eyelets and pliers set.